“Failing to notice one rose, we fail to notice the entire cosmos,” writes Joan Chittister, author of over 50 books on spirituality. 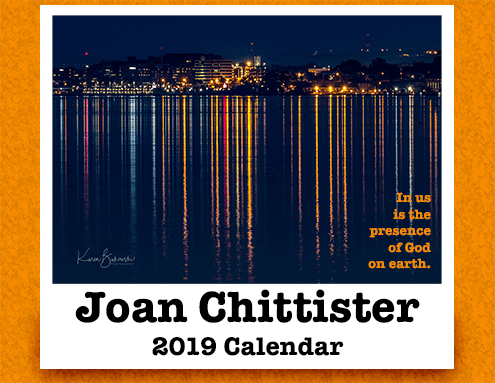 The 2019 Joan Chittister Calendar offers you the opportunity to begin to see in a new way, with greater attention and appreciation for the Divine Presence. Each month features photographs that highlight small details of simple, everyday beauty. These images are paired with thought-provoking quotations from Sister Joan. Make your way through the year with fresh spiritual inspiration, and with greater sensitivity to the loveliness around you. Click images for larger view • Full color • Opens to 11" x 17"